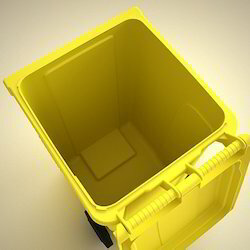 In order to retain our goodwill in this industry, we are providing a qualitative array of MS Garbage Container. Sizes available: 7" x 10", 8" x 12" & 9" x 14"
Backed by rich industry exposure, we are engaged in offering an extensive range of M.S Garbage Containers. 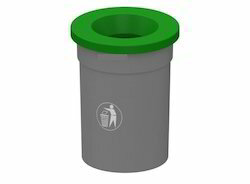 60 Liter Dustbin (Square) Container made from Virgin LLDPE Non Toxi, FDA approved, unbreakable, Roto Molded Green/Blue colour with same colour cap.